The Casa Terrades, better known as the Casa de les Punxes, was designed by the modernist architect Josep Puig i Cadafalch. In 1905, Bartomeu Terradas Brutau, a businessman in the textile sector, commissioned Puig i Cadafalch to design a house for his three sisters; with elements of different architectural trends and various technical innovations, the result was a building which reminds of old medieval castles. 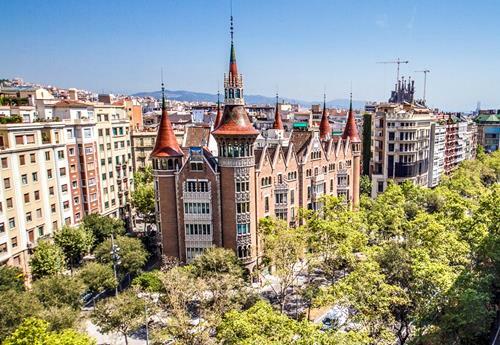 Its six pointed towers gave the building its popular name: Casa de les Punxes (Punxes means spikes in Catalan). 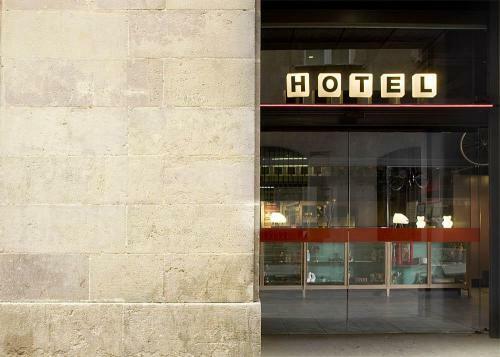 It is one of the most emblematic buildings of Barcelona, and in 1975 was declared a national historic monument. 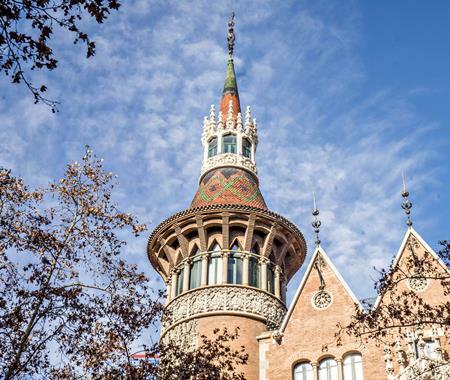 The Casa de les Punxes house a museum which aim to disseminate the Catalan intangible cultural heritage and the figure of the architect Josep Puig i Cadafalch. The building offer a multidisciplinary experience with music, images and lighting effects. It is possible to visit the main floor of the house and the roof.